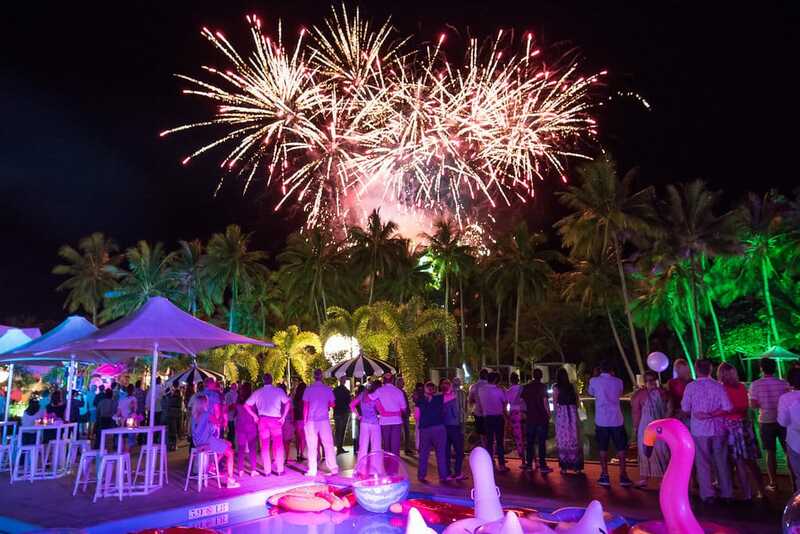 Our client, an international corporate technology company, was scanning the globe for a destination to take their family friendly high achievers, previously hosted in Barcelona and Hawaii. 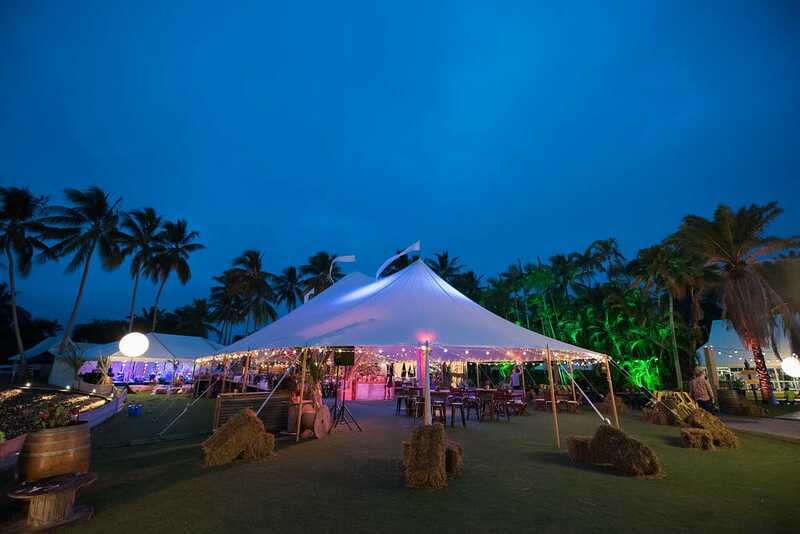 With 450 adults and 150 children, running a simultaneous events program was critical to this programs success. 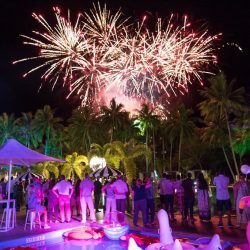 The first ever buy out of the newly refurbished Sheraton Grand Mirage with the creation of 3 tailored events, with accompanying Kids Clubs, was the solution. 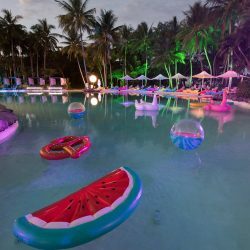 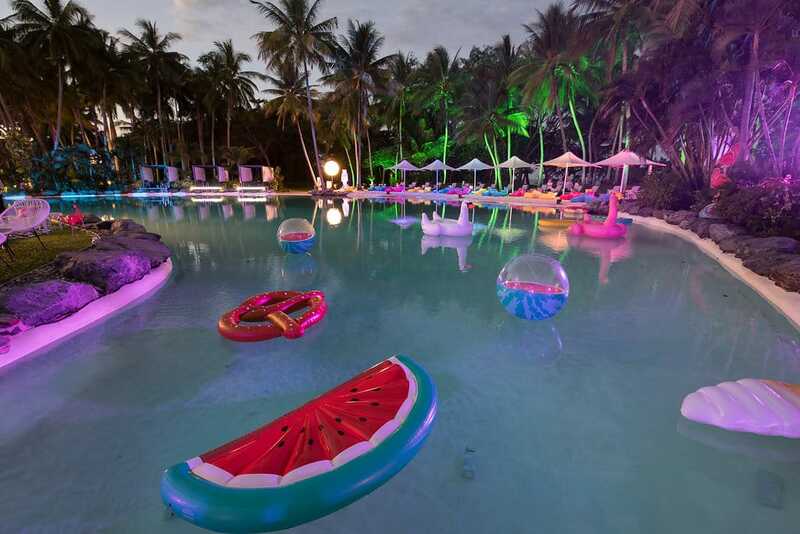 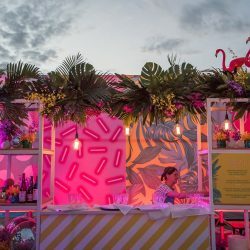 “Splash” – A colourful poolside welcome reception was held at the Sheraton’s Lagoon Pool on the newly refurbished deck featuring palm trees lit in pink and amber, tropical cocktails, whitewashed bars with surfboard signage, tropical flowers, palm fronds and pool floats. 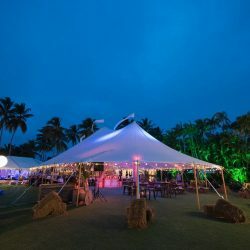 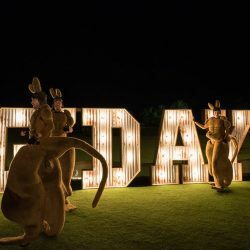 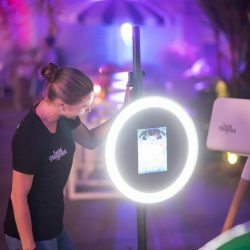 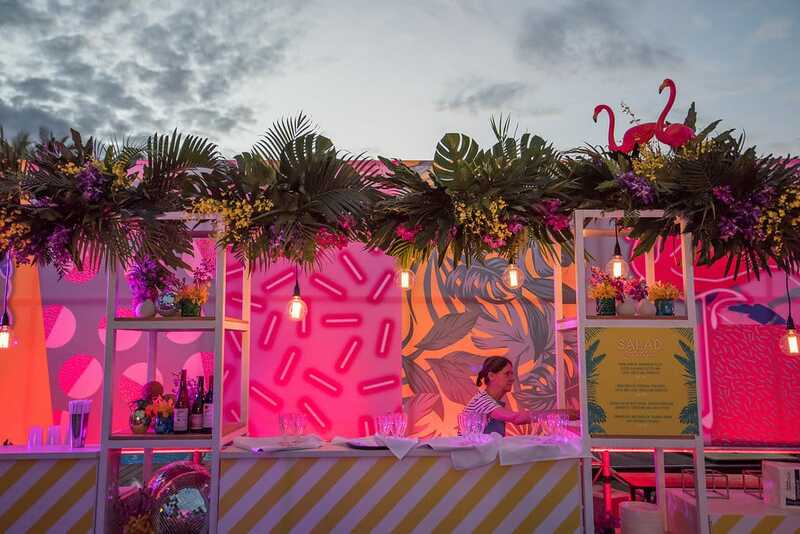 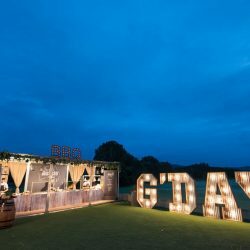 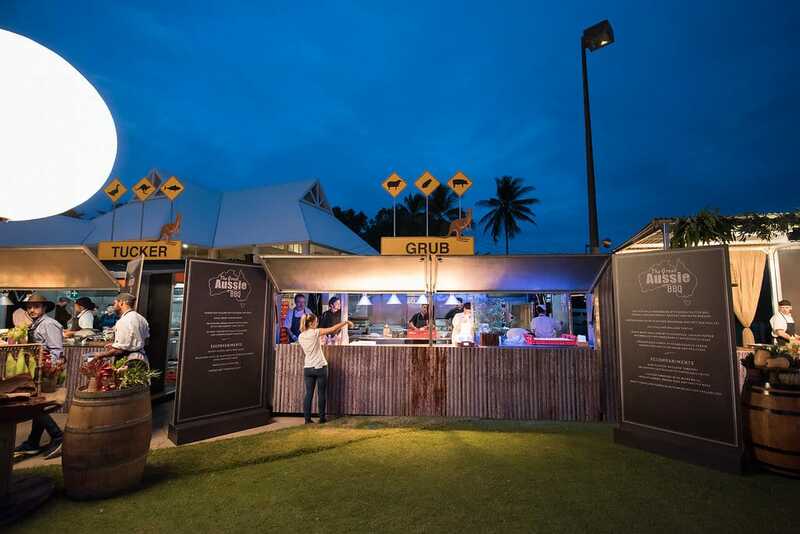 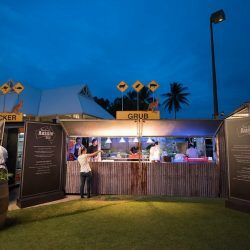 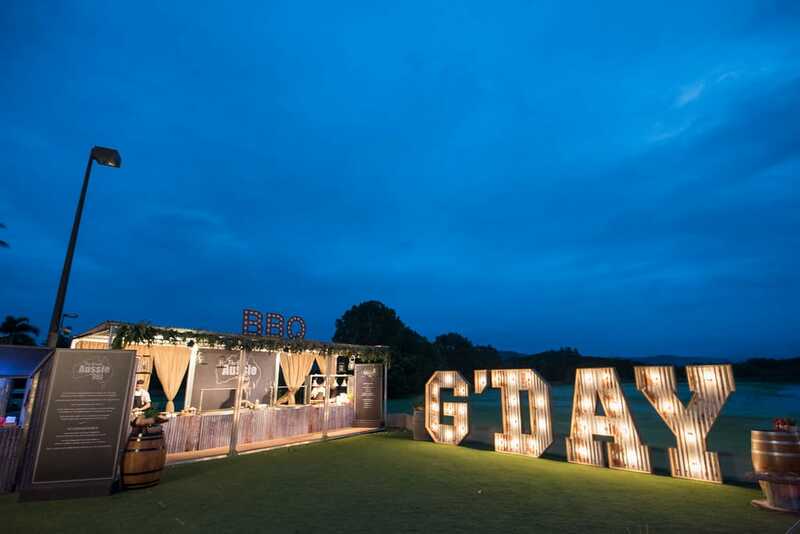 “G’Day” – The quintessential Aussie BBQ at the Mirage Country Club followed on the next evening, where rusted iron tubs were overflowing with native florals, a bush band played and food stations were arranged on ladders. 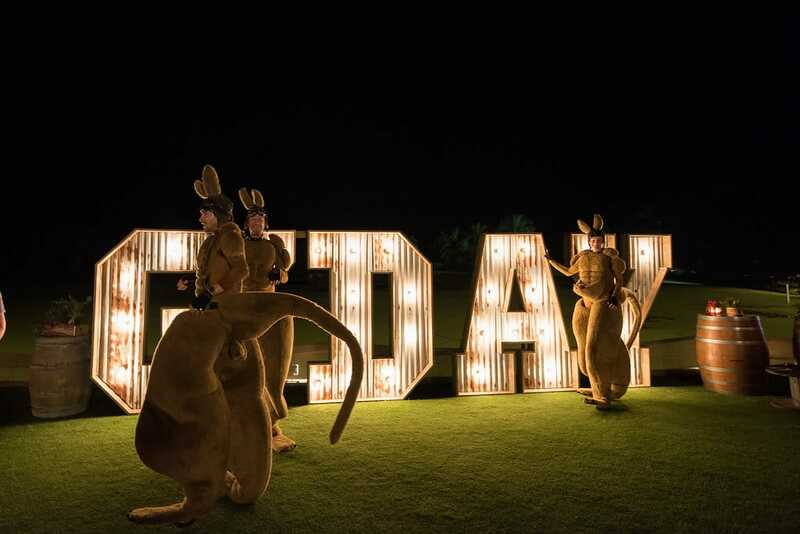 Guests tasted bush tucker, watched an Indigenous performance, threw boomerangs and met kangaroos. 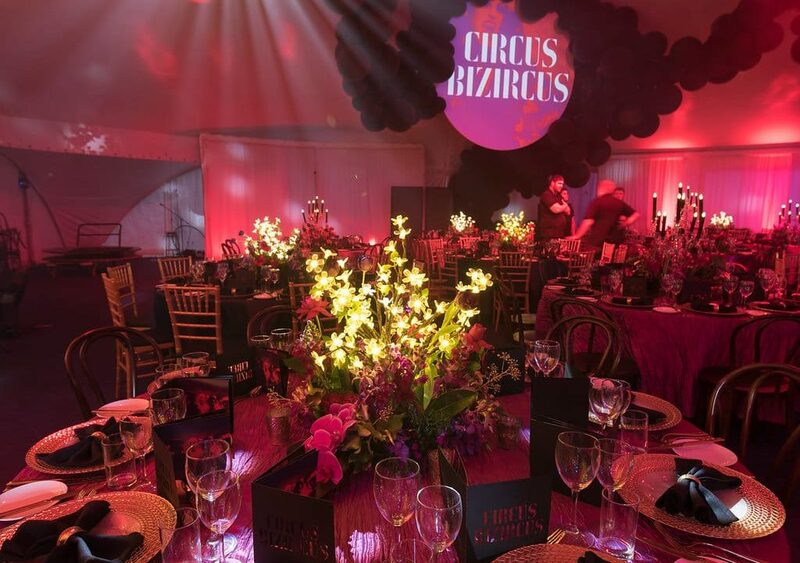 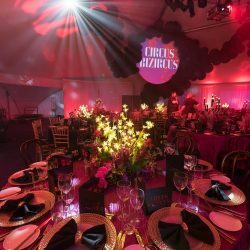 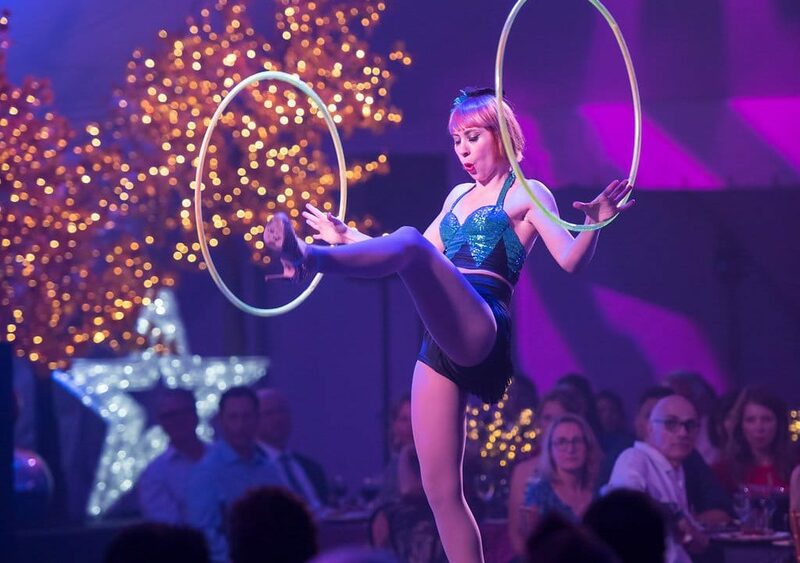 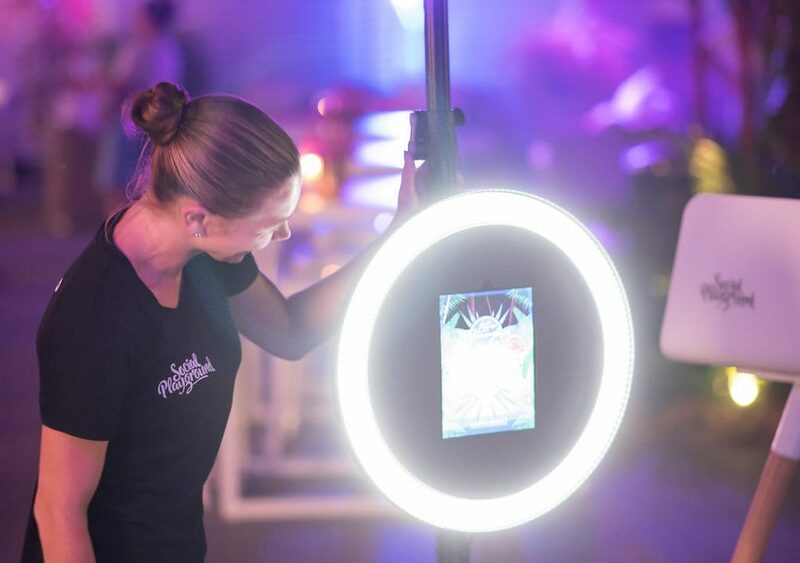 “Circus Bizurcus” – A pavilion transformed into a fantasy world of circus cabaret with heavy drapes, a carousel-like stage, performers in LED costuming and contortionists, was the creative solution for the gala farewell function.